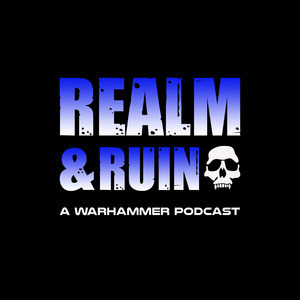 We found 4 episodes of Realm & Ruin with the tag “imperial knights”. Roll up, roll up - Episode 8 is here! Matt and Cameron provide an overview of the Wars for Armageddon and the latest news about Soul Wars! If the Tomb Kings returned to AoS - would they join Order or Death? Episode 3 is here for your Warhammer needs! Matt and Cameron discuss the latest Warhammer news including Plastic Sisters of Battle and the incoming Idoneth Deepkin! Discussion topic - Thousand Sons - Were they actually traitors?